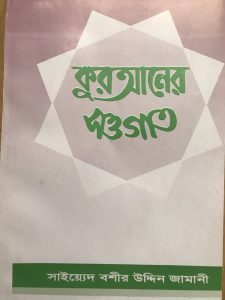 A review of the major Themes and Guidance contained in the Holy Quran in an easy to follow commentary in Bangla language. Originally translated from “Zalikal Kitab” published in Urdu in 1997 by Syed Basheeruddin-Zamani (RA). Full Text is attached as PDF above. Credits: Late Behrouze Isphanai for financing the original publication in Dhaka (now out of print) and Brother Zahid for translating text from Urdu to Bangla. There is no restriction on the free distribution of the contents of the book.